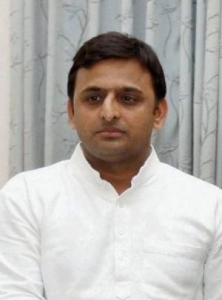 Ghaziabad, Uttar Pradesh Chief Minister Akhilesh Yadav will give away 8,000 laptops to students. Ghaziabad Development Authority chairman Santosh Yadav said that projects worth Rs.3,750 crore would be launched by the chief minister Monday. In addition, 12 schemes would be unveiled along with an ambitious scheme of 5,000 houses for low income group and economically weaker sections. The chief minister would distribute the laptops to 8,000 students as part of his Samajwadi Party election pledge. The major projects likely to be inaugurated include an elevated road from Uttar Pradesh Gate to Northern Peripheral Expressway. > Music as a career - 21 June is World Music Day. > Social media in the Arab region has facilitated innovations by people. > Ohio State University proposes to launch a pilot project in partnership with AMU. > Lawrence School Sanawar has set a new record world's highest peak Mount Everest recently.